ICYMI: Monster Bowles outduels Mamaw, The Streak ends, This should be a rivalry! Just when I started to feel that the Monster Bowles mania was dying down and that Mamaw Michael Dunigan was beginning to get more love from us, Denzel just outplays him. Dunigan was still a force on the boards grabbing 10 offensive rebounds and 17 overall, but Bowles and his crew did a great job at limiting his second chance points. The Mamaw, with only 13 shot attempts was considerably slowed down by SMC’s team ball denial D ending up with only 18 markers. Bowles on the other end, was making his jumpshots and was very aggressive going to the paint as he tripped to the line 10 times on his way to Monster numbers of 29 and 16. With James Yap and Marc Pingris hurt in all sorts of ways, the Mixers will go as far as Bowles will carry them. 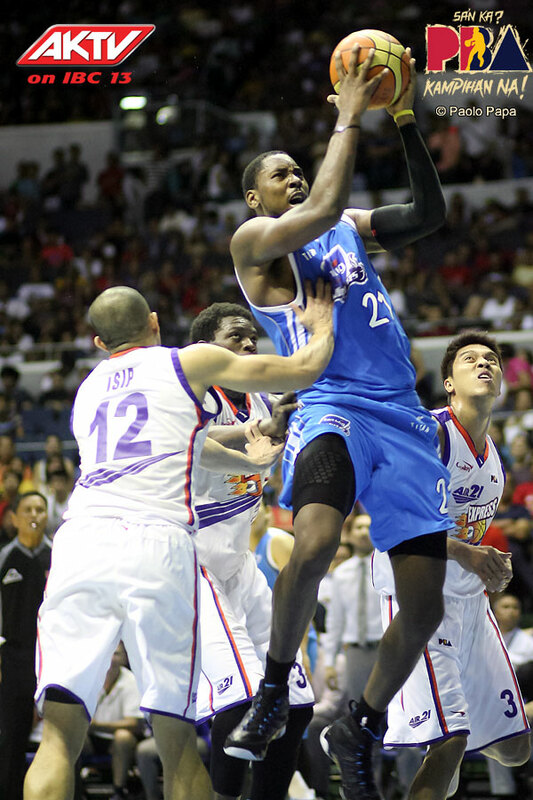 Alaska cut Barangay Ginebra’s streak short by doing what they’ve been doing all season long: total team ball. Robert Dozier, as usual, did everything within the system as he hauled down 20 monster rebounds on top of 28 points on only — mind this — 12 shot attempts! Dozier was got more than enough support from six Aces with 8 or more points (supporting cast was led by 12 points from Gabby Espinas and 11 and 11 for The Beast with both players coming off the bench). Displaying never say “Die!” attitude and coming back from huge deficits is a mark of a good team. But what’s a mark of a better team? It’s holding on to the lead after the other team swings with a huge haymaker of a run. And Alaska was that “better team”. Of course, they held on to the lead by playing….wait for it…team ball! Abueva’s shot at the rim in the last two minutes was huge. Hontiveros hit a big three in the third to put Alaska on top after BGSM made a huge rally. He hit another one in the fourth to give Alaska more cushion. Casio’s playmaking was crucial. Most importantly, even if they didn’t play their best defense last night, they made stops when they needed to. 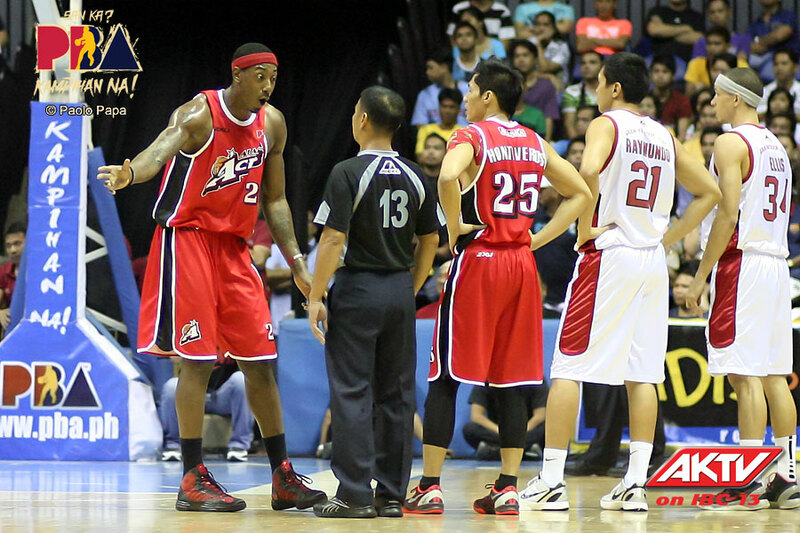 Barangay Ginebra on the other hand, played as well as they could — without Mark Caguioa. I’m damn sure that BGSM fans and even the team are holding that “Eh hindi naman naglaro si Caguioa eh” card. But get this: I think BGSM should be getting the same amount of confidence boost by giving the Aces an extremely tough night compared to them beating Alaska with Caguioa playing. Vernon Macklin continued his good performance, showing a new finesse spin move at the post in the process. LA Tenorio was again there, and so was Baracael, and everyone that made the streak possible. So What if Caguioa played? Coach Al wouldn’t have gone to the despicable zero offense combination of Tenorio-Labagala-Jensen-Hatfield-Taha. MC47 could’ve taken those open threes off of down screens instead of Ellis. We’ll never know for sure until these two teams meet again but BGSM almost winning the game gives the team confidence that it can beat the Aces. 3. This should be a rivalry! Dozier vs. Macklin. Caguioa vs. Baguio. Casio vs. Tenorio. 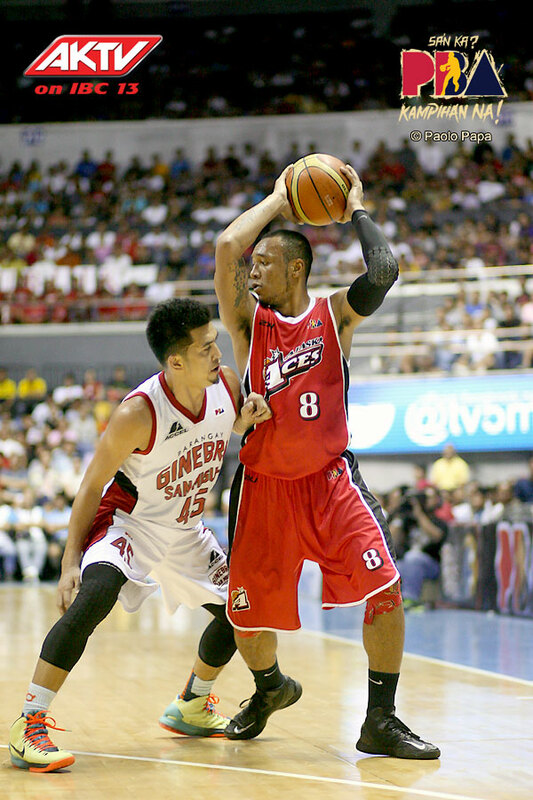 ABUEVA! vs. BARACAEL! Long hair (Chua) vs. Crew cut (Trillo). Tell me you don’t see this developing into a rivalry. If they meet in the playoffs — I think they will — it could be fireworks man.